Food culture has always been prominent in Kevin’s life, growing up in his father’s bakery with his African American father and Italian American mother. From making meatballs with his mother and snacking on collard greens with his father, to gathering around the supper table to enjoy a multitude of dishes, his upbringing continues to influence his cooking philosophy today. Adding technique to family tradition, Sbraga’s ongoing interest in cooking led him to pursue a formal culinary education at Johnson & Wales University. He went on to hold positions at The Dining Room at The Ritz-Carlton in Naples, Florida, under Executive Chef Lawrence McFadden CMC, and Chef de Cuisine Arnaud Berthelier. Later at Buckhead Life Restaurant Group in Atlanta, Georgia, as well as with Chefs Guenter Seeger and Joël Antunes, before moving back to his Philadelphia roots. Here, he honed his skills under prolific chef George Perrier, restaurateur Stephen Starr and at the esteemed Ritz-Carlton Hotel, Philadelphia. 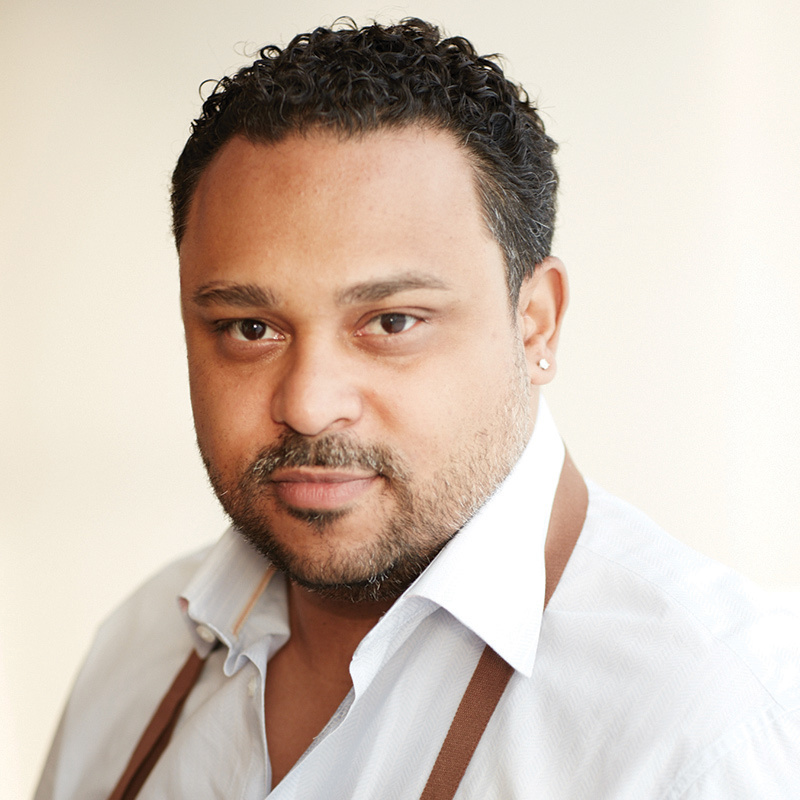 In 2008, he began his consulting work with Jose Garces to test recipes for the chef-proprietor’s Latin Evolution cookbook. Sbraga impressed Garces with his dedication, which earned him a full-time role as Culinary Director of Garces Restaurant Group. Sbraga went on to win the award for Best Meat Presentation in the Bocuse d’Or USA competition in fall 2008, before working as executive chef for Stephen Starr at Rat’s Restaurant at the Grounds for Sculpture in New Jersey. In 2010, Sbraga joined the cast of “Top Chef,” emerging from the season as the winner and a zest for opening his own restaurant. He launched his modern American restaurant Sbraga in October 2011, which has since been named an Esquire “Best New Restaurant” in 2012 and repeatedly one of Philadelphia Magazine’s “Best Restaurants.” Sbraga’s second, critically- acclaimed venture, The Fat Ham, opened in December 2013 in the University City neighborhood of Philadelphia, serving Southern comfort, small plates and a vast whiskey selection. Since then Sbraga went on to open and operate three more restaurants nation wide. Sbraga made a return to television during summer 2016, appearing alongside celebrity chefs Gordon Ramsay and Christina Tosi on FOX’s MasterChef, Season 7. He continues to cultivate the Kevin Sbraga brand with a diverse array of concepts, celebrity appearances, private dining and consulting projects. Sbraga has two children, Jenae and Angelo, and lives in Philadelphia. He is passionate about giving back to the community, and often supports childhood- related charities such as CHOP, Children’s Hospital of Philadelphia.